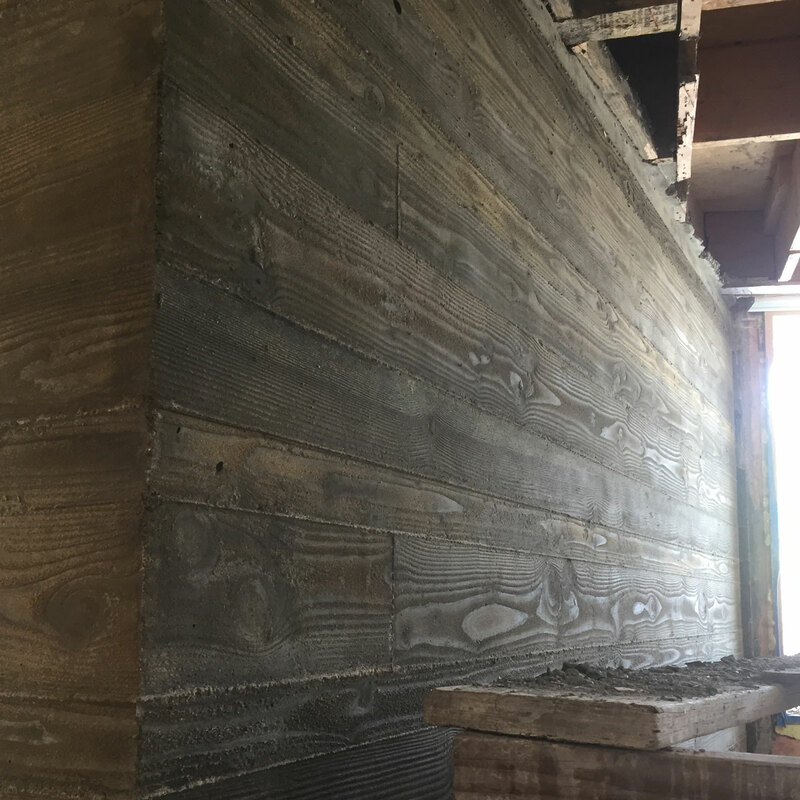 Board Formed Concrete Wall - Kurt Krueger Architects, Inc. 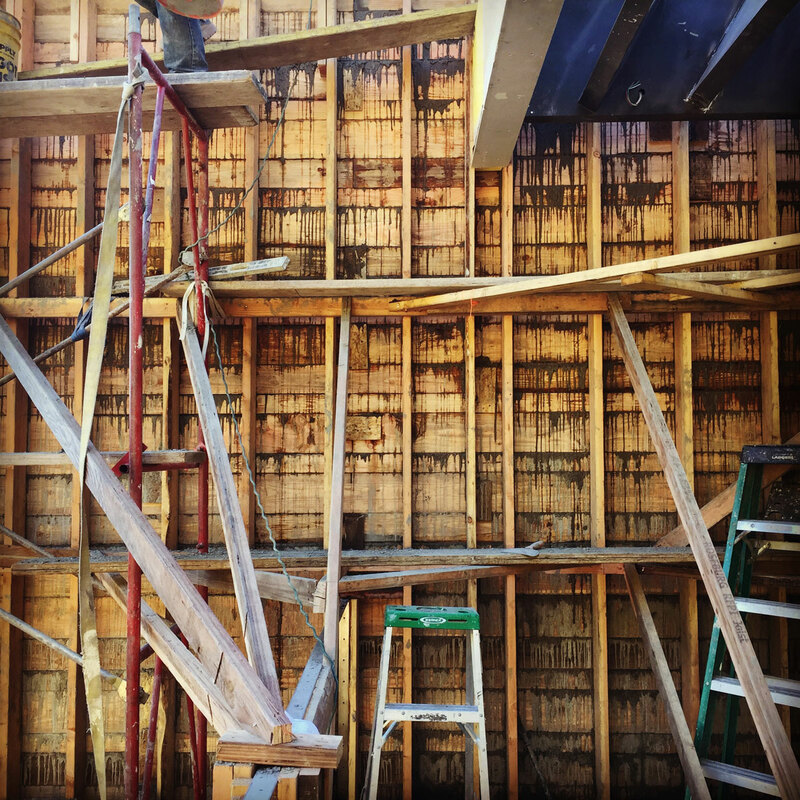 Concrete walls aren’t just for foundations anymore–we’re not hiding this one behind sheetrock or in a basement. 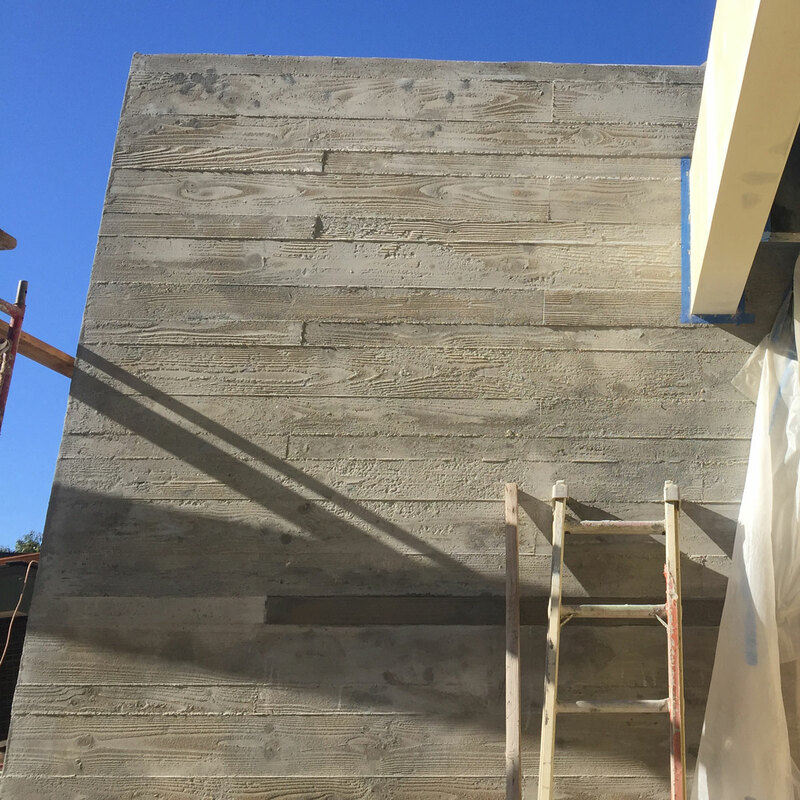 At our project in Benedict Canyon in Beverly Hills our firm designed a concrete wall which would be a focal point both inside the residence in the stairwell that led to the new second story over the garage addition; and also the exterior focal point when you’re arriving at the house. The two story concrete wall was designed using the board-formed technique. 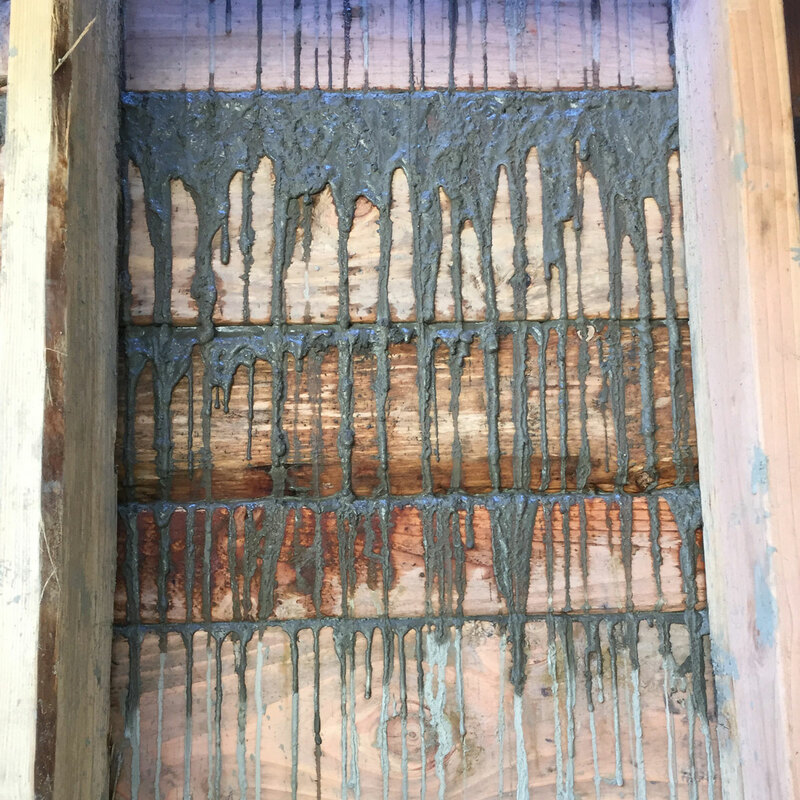 This technique transfers the wood board profile to the concrete wall as it cures. This gives the wall the texture of wood; blending the organic with modern style. 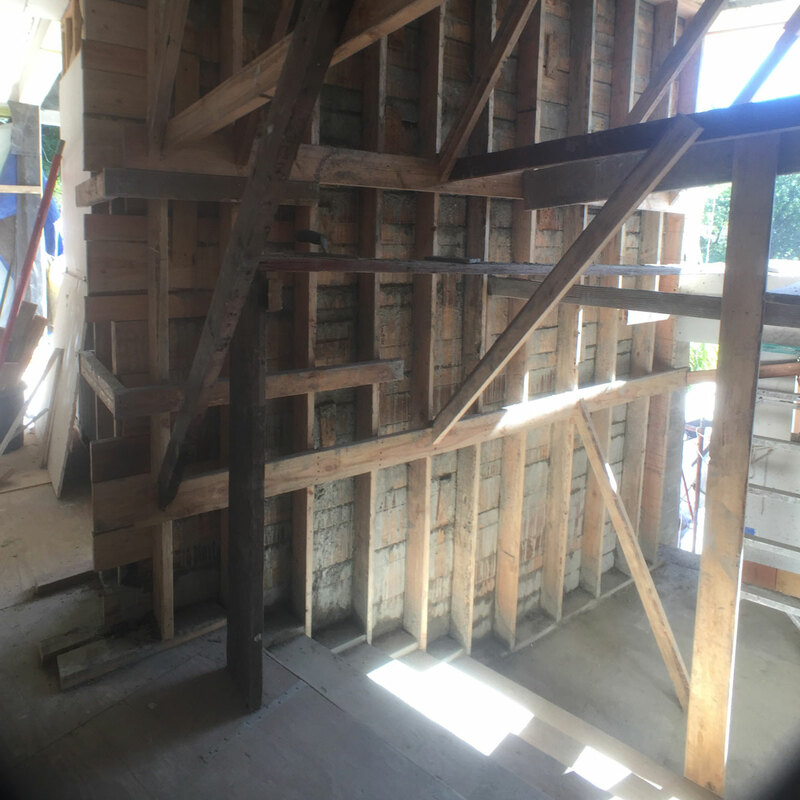 The wall was constructed using the same craftsmanship our firm has become known for. 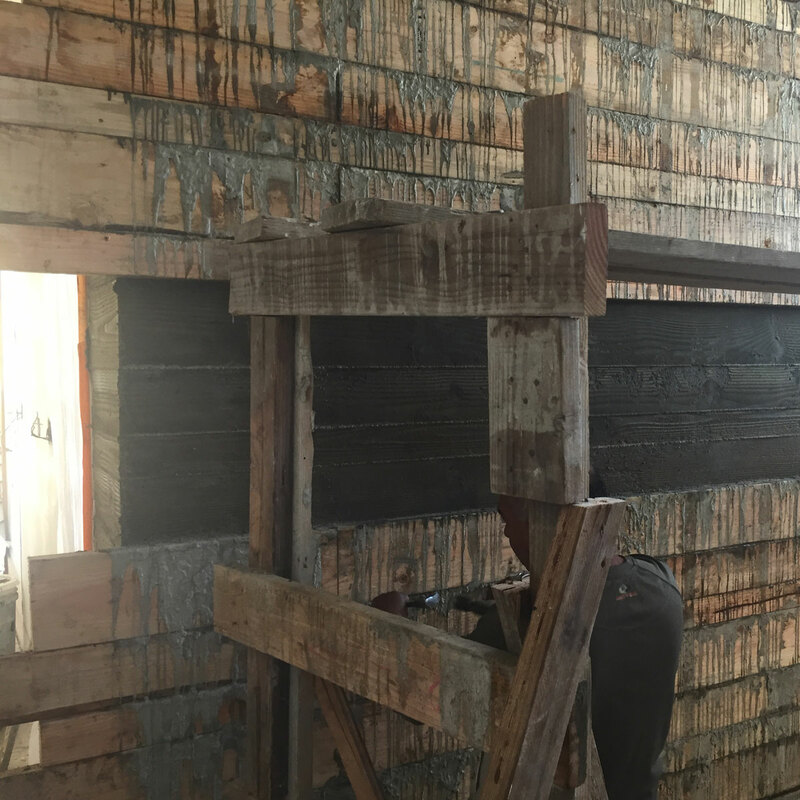 It was hand poured and each board was carefully removed to expose the texture after the curing process. As sometimes happens on the construction site, everything doesn’t go perfectly the first time. We had some adhesion issues on the interior side of the wall and hand to repour this side. 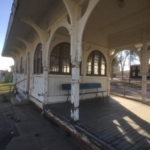 Because we’re a design-build firm, we were able to quickly address this issue and minimize any delay in the project. 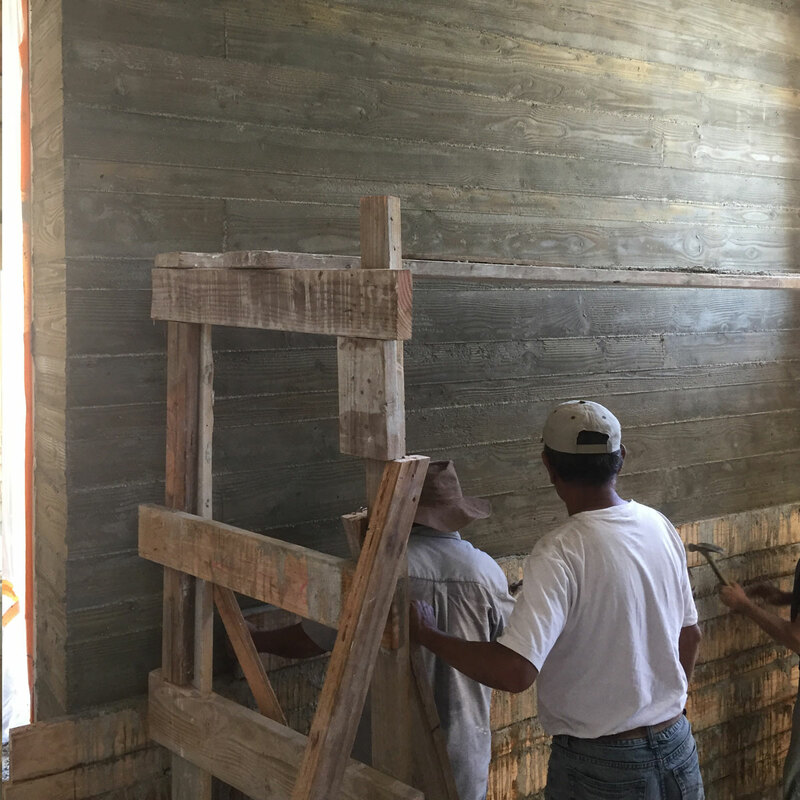 We’ve included some photos from the job site so you can see how this modern style concrete wall came together. 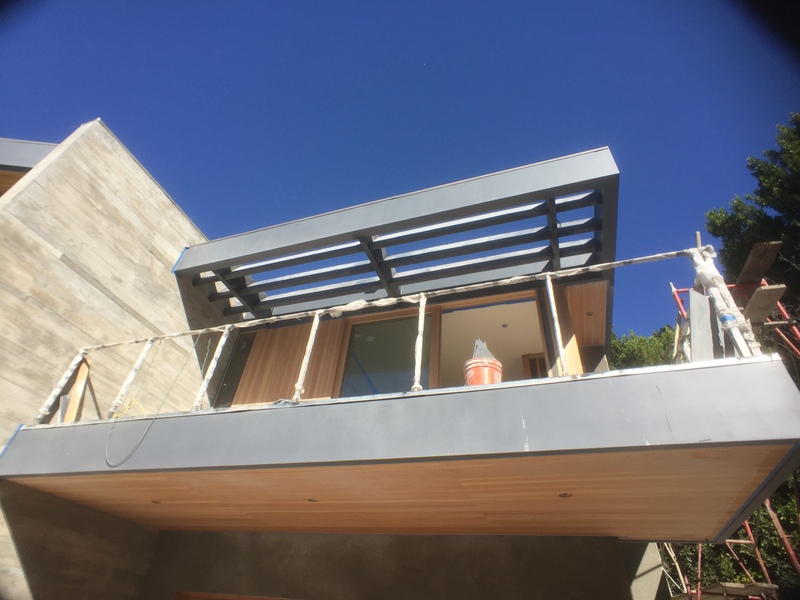 Exterior View of the finished wall with the adjacent balcony off the new addition. Learn more about this Benedict Canyon home in the Portfolio.